We all love seeing our collection sit there, available to us at any time for our viewing pleasure. Pulling out the sleeve, handling the disc, and going through the various packaging included with our favorite Blu-ray movies. But what if we want to watch our favorite Blu-ray movies on PCs portable media players? If you're looking for an easy for this, here is a quick tutorial to guide you through how to digitize Blu-ray library to videos with lossless video quality for convenient playback. To digitize Blu-ray, you need a Blu-ray ripper that can convert Blu-ray to videos removing Blu-ray copy protection. Here EaseFab Blu-ray Ripper is highly recommended to help you finish your task. 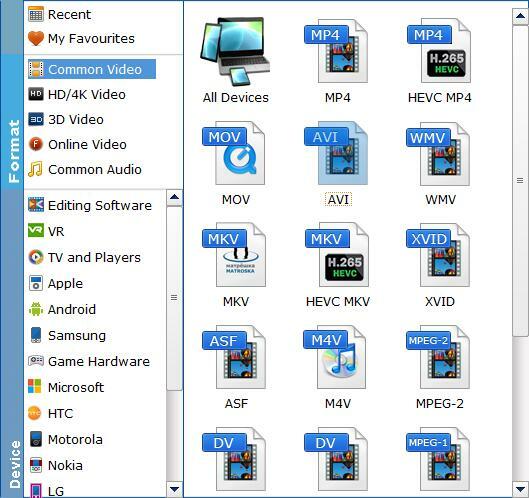 With it, you can convert Blu-ray (or DVD) to almost all regular video formats like MP4, MOV, MKV, FLV, WMV, AVI, etc. and even extract MP3, WMA, FLAC, OGG, etc. audio from DVD movies. In addition, 150+ video presets for portable devices like iPhone, iPad, iPod, PSP, HTC, Samsung, Archos, Zune, etc. are provided to let your get videos with the best settings to fit your device. Now just download the program and check out the guide below to learn how to digitize your Blu-ray collection. Insert your Blu-ray disc into your BD drive and launch EaseFab Blu-ray Ripper. Then click Load Blu-ray icon to add the Blu-ray files. At the bottom, you can select your desired subtitle and audio track. The last step is to click Convert button to being ripping your Blu-ray to digital videos. When the conversion finishes, click Open to get the ripped videos and enjoy them anywhere you like.